Yves Joanette is a Professor of Cognitive Neurosciences and Aging for the Faculty of Medicine at the Université de Montréal. He is currently the Scientific Director of the Institute of Aging of the Canadian Institutes of Health Research (CIHR). He is the scientific lead of the CIHR Dementia Research Strategy and acts as a co-lead of other CIHR initiatives on eHealth Innovations and on Healthy and Productive Work. Yves Joanette also oversees the CIHR Canadian Longitudinal Study on Aging, as well as the initiative on Late Life Issues. 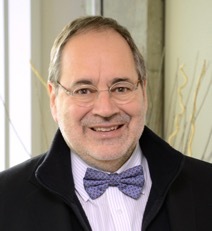 Yves Joanette sits on many international advisory and management boards, including three European initiatives in which Canada participates, such as the Joint Programming Initiative – More Years, Better Lives (focused on demographic changes and aging) and the Joint Programme – Neurodegenerative Disease Research (focused on dementia). He was also successful in making Canada a full member of the Joint Programme – Active and Assisted Living (focused on technology and e-Health approaches to better support older people). Yves Joanette is also currently a member and the Past Chair of the World Dementia Council. Yves Joanette was a Scholar and Scientist of the Canadian Medical Research Council and has received many distinctions, including the André-Dupont Award, and the Eve Kassirer Award for Outstanding Professional Achievement. Yves Joanette is a Fellow of the Canadian Academy of Health Sciences. The Université Lumière de Lyon (France) and the University of Ottawa (Canada) both presented him with an Honorary Doctorate.